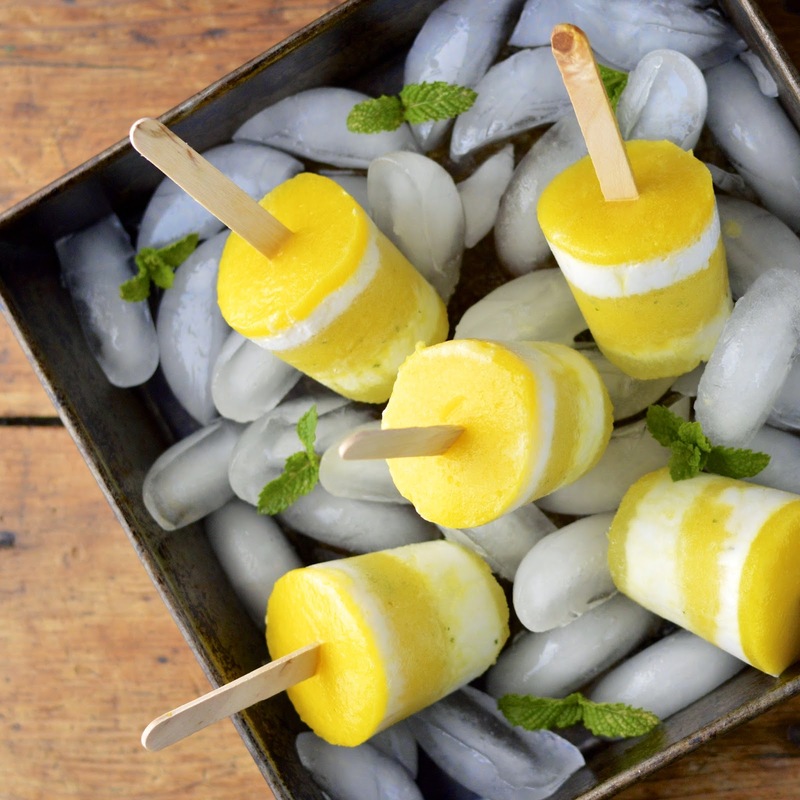 Tropical Pina Colada popsicles with a touch of fresh mint, are a perfect treat for summer - it's hard to believe they're vegan! I am going to start this post with a disclaimer – I am not the most patient or meticulous person I know. It may come from growing up in New York City; everything I do must get done quickly. It’s just something that becomes a part of you in the Big Apple. People are rushing here and there, and you get wrapped up in the pace. 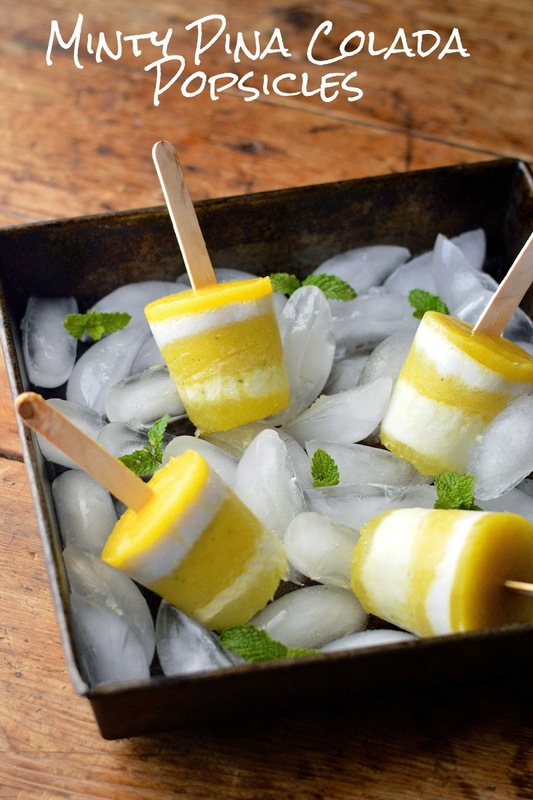 These layered pina colada popsicles require patience, time and a steady hand. Plus it’s a good idea to have lots of space in your freezer to maneuver the molds. I had none of the above. Therefore, my popsicles are not perfectly layered like these, but they sure do taste good and I loved the lighting on the photos. Basically, I concluded they were blog worthy! There is absolutely no dairy in these pops. Coconut milk (my new best friend) provides luscious creaminess. These taste just like the classic drink with just a touch of mint because I am a little obsessed with combining fruit and mint. Additionally, that touch of fresh green color is beautiful. The next time I make these popsicles, I will probably just blend all the ingredients and skip the layering (directions are in the recipe). You can take the girl out of New York but can't take New York out of the girl! Place first 5 ingredients in a blender and blend until completely smooth. In a separate bowl whisk together sugar and coconut milk. 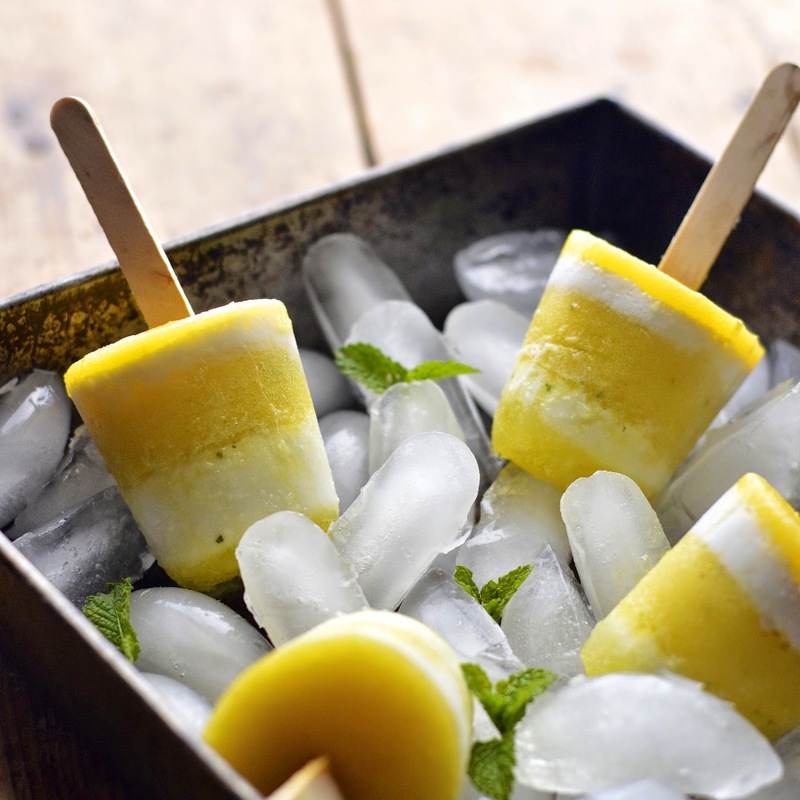 Pour about 1 inch of pineapple juice into popsicle mold and freeze for a good 45 minutes. Then top with 1 inch of coconut mixture and freeze for 45 minutes. Continue this process until molds are full. After you've added the last layer, freeze for another two hours to be sure popsicles are solid. If using plastic molds run under some warm water to release popsicles.